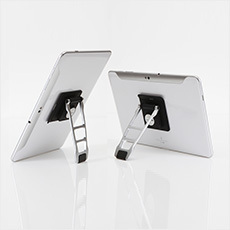 Tablet Stand and Matching Stylus for Android And iPad Tablets. 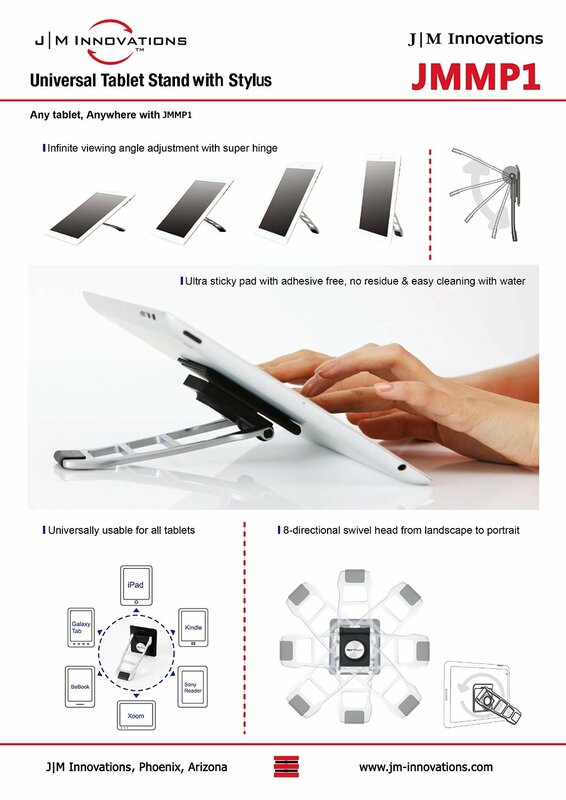 A universal tablet/phone stand like no other! 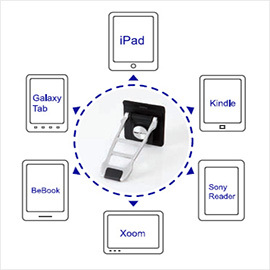 Vortex Universal Adjustable Stand: A Revolutionary Design for ALL Tablets, Smartphones and e-Readers. – NO adapters of any kind needed; attaches with our exclusive AnyStick washable sticky pad. It grips quick and grips firm, but detaches easily with no sticky residue. —-ANY reader, such as Kindle or Nook. Solid aluminum construction makes it sturdy, lightweight and stylish–less than 4 ounces! Solid aluminum construction makes it tough and stable, unlike all the plastic stands out there. Aluminum construction also makes it incredibly lightweight and portable. Leave it attached or stick it in your bag, either way, it’s always ready to go. Simply rinse the AnyStick surface with water and it’s back to new! This Vortex Massage Roller is the best way that I have found to effectively align, massage and relax my back. At work I am on my feet for 8-10 hours a day at a stressful job taking care of others; when I get home I am relieved by the self massage that I get from a simple roll on the Vortex. I feel that other foam rollers I have used in the past were not sturdy or durable enough to pop and rub the stress away. However, with the tough PVC-like core, I know it will withstand daily use by a bigger guy like me. Being a larger man, I appreciate that it is long enough to use as both a vertical and horizontal massage roller so that I can really work out the tight spots in my lower back, where I hold most of my stress. Although, I don’t necessarily use it in this way, I am sure it would be great for exercise or fitness junkies. This roller might be a bit pricier than other foam rollers but is definitely worth the money! As a salesman, avid golfer and father of two, I put my body through the ringer 7 days a week! As soon as I saw this muscle roller, I knew I had to have one! I don’t have the time to work out like I used to and from head to toe, my body isn’t recovering like it used to. I’ve used the Vortex just about every day since I got it and the deep tissue massage is AMAZING! My back, shoulders, legs and even my hammies feel 1000% percent better – so is my golf game! I feel like I’ve got more energy to chase after the kids and I’m not as wiped out at the end of the day. I also like the fact that the rubberized foam roller is sturdy and easy to clean after a work out at home. I’ve tried a few other foam rollers and I’ve been disappointed but not this time! This one looks like it’s gonna last for a long time but if it doesn’t, I’ll definitely order again! I think this roller is great! It does take time to get used to it. The roller is well made and built for the long haul. A DVD or pdf info guide would definitely make it even better! There are several emails of with infomation on how to use this but I opted out of receiving the emails too early. If the email information was sent in the beginning I would have rated this higher. To be fair the manufacturers provided great customer service and were very responsive to all the questions I had. I would highly reccommend this roller – it is money well spent! We believe in this quality product so much that we offer a no questions asked 1-year return policy. If for any reason you need to return, just contact us and we will do whatever we can to make sure you are taken care of. We firmly believe that taking care of the customer makes everything else fall into place. Guarantee: 1 year unconditional warranty.